Calvert Hall’s Chris Cottone (left) and Shawn Barwick goes after a loose ball ahead of Boys’ Latin Mackenzie Moreland. The top-ranked Cardinals built an 11-1 advantage on the No. 2 Lakers, en route to a 12-5 decision in the MIAA A Conference lacrosse opener for both Friday evening at Russo Stadium in Towson. Sporting brand new red metallic helmets with “Hall” scripted in white, with gold trim, on one side and the familiar Cardinal logo on the other, the top-ranked Calvert Hall lacrosse team was nearly as hot as their new head gear, Friday evening, vanquishing struggling MIAA A Conference rival Boys’ Latin School , 12-5, before a packed house at Paul Angelo Russo Stadium in Towson. Calvert Hall (6-1 overall, 1-0 MIAA A), the two-time defending A Conference champion, used a balanced offensive attack and a smothering defense, in the league opener for both teams, to serve notice that it has every intention to extend its stranglehold on the conference championship. The Cardinals, ranked No. 1 in US Lacrosse’s preseason National Top 25, defeated BL, 8-6 in last year’s league final at Johns Hopkins University. The rematch, Friday, was less compelling. Four different Cardinals scored two goals each and junior goalie Jackson Marshall sparkled in the net with nine saves as the Towson squad took charge midway through the first quarter and cruised to victory over the young but talented Lakers (4-4, 0-1 MIAA A). Senior attackman Colin Stewart opened the scoring for Calvert Hall and junior midfielder Josh Webber followed up with a diving score to put the Cardinals up 2-0 with 5:24 left in the first quarter. Both Stewart and Webber would finish with two goals and one assist in the contest. In addition, Garrett Mitchell and Truitt Sunderland cashed in with a pair of goals. With Division 1 talent spread all over the field, the Cardinals and Lakers put on an impressive and feisty show for the crowd. Led by their “Twin Towers,” junior middie Cole Herbert and senior middie Grant Mitchell, Calvert Hall started to dominate the clock and the Lakers in the second quarter and pulled away with a 6-1 lead at the half. 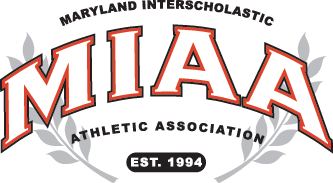 “The atmosphere was a little heavy, and some guys were on their own agenda early,” said Calvert Hall coach Bryan Kelly. “I thought our second line played better than our first line, but then our first line settled in, and I think that was key for us. Daniel Kelly, Herbert, Connor Mitchell and Ryan Vermuelen also scored single goals for Calvert Hall. Cameron Spencer had a pair of goals for Boys’ Latin, while Cole Ericson, Ben Smith and Jake Glatz added single goals for the Lakers. The Roland Park school was dealt a blow with standout junior attack Brendan Grimes recently sidelined indefinitely with a back injury. Faceoff specialist Payton Giberson transferred to Frederick County’s Oakdale, and BL graduated a talented senior class. Lakers coach Brian Farrell is confident his squad can weather a difficult transition. BL will have time to regroup, returning to action next Saturday against John Carroll School at U.S. Lacrosse complex in Sparks. Calvert Hall is at John Carroll Tuesday before hosting McDonogh School, ranked No. 1 in the latest Inside Lacrosse’s national rankings, in a matchup of the last two MIAA A champs, next Friday evening at Russo Stadium. GOALS: BL–Spencer 2, Erickson, Smith, Glatz; CH–Stewart 2, Webber 2, Sunderland 2, Kelly, C. Mitchell , Herbert , G. Mitchell 2, Vermuelen. ASSISTS: BL–Crain; CH–G. Mitchell, Herbert, Webber, Huffman. SAVES: BL–Morton 10; CH–Marshall 9.